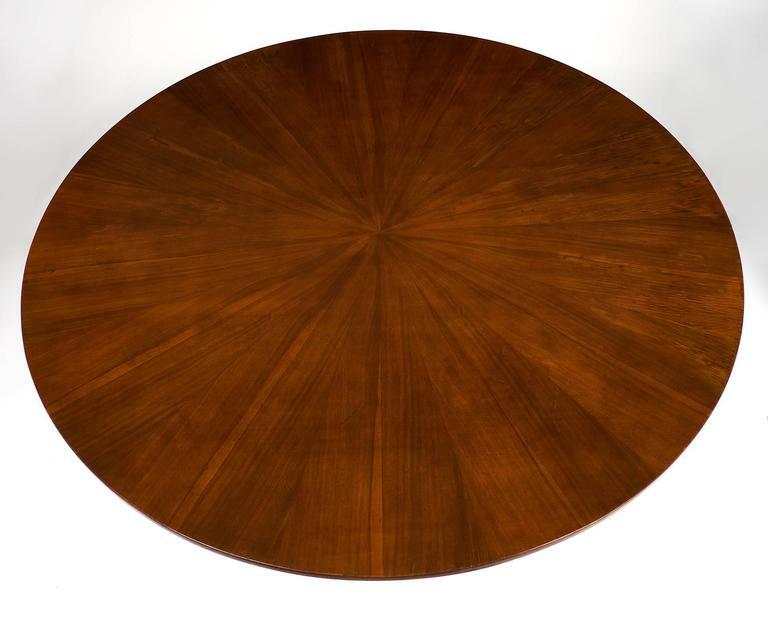 Wonderful Mid-Century walnut table in the style of Paolo Buffa. 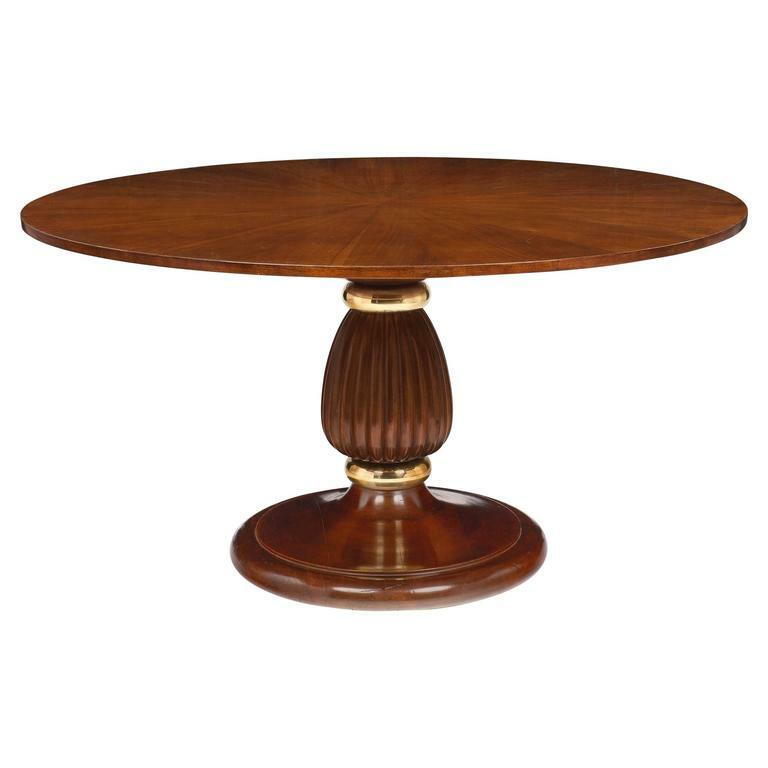 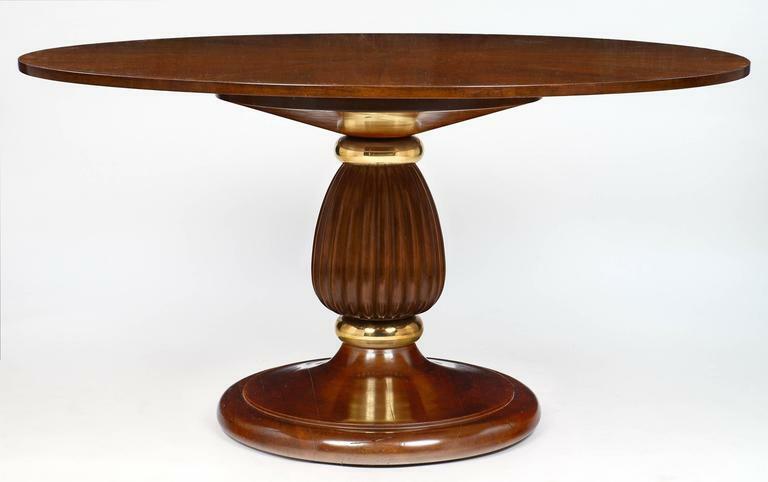 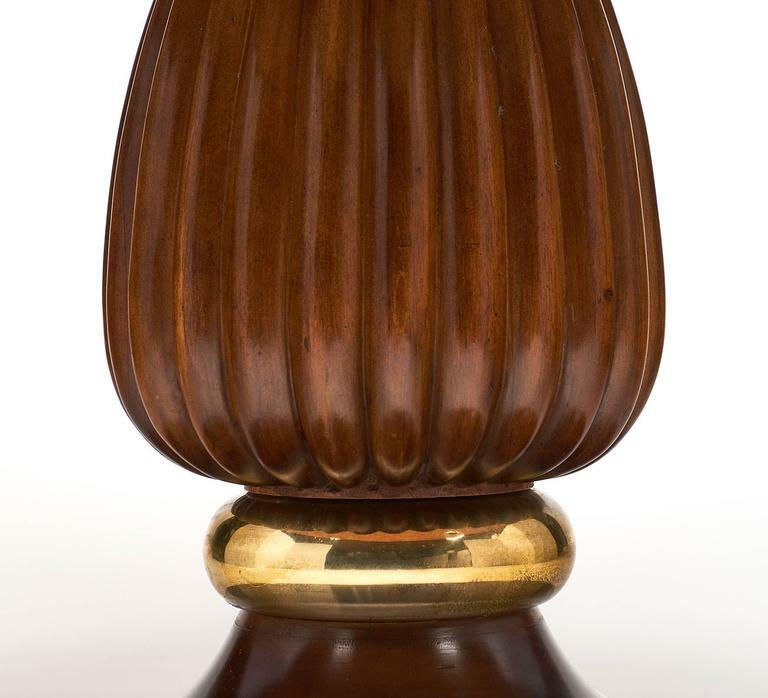 This spectacular piece has a solid walnut base, two brass rings for balance, and a tulip foot with accentuated "godrons." 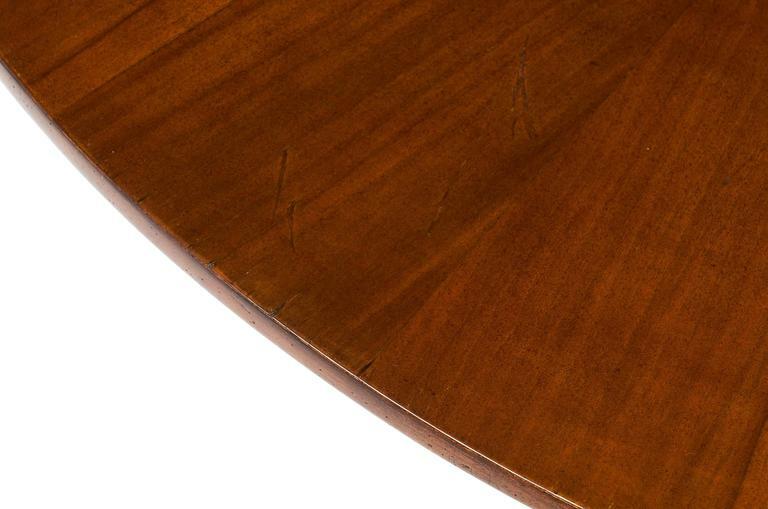 The top has stunning sun ray marquetry! 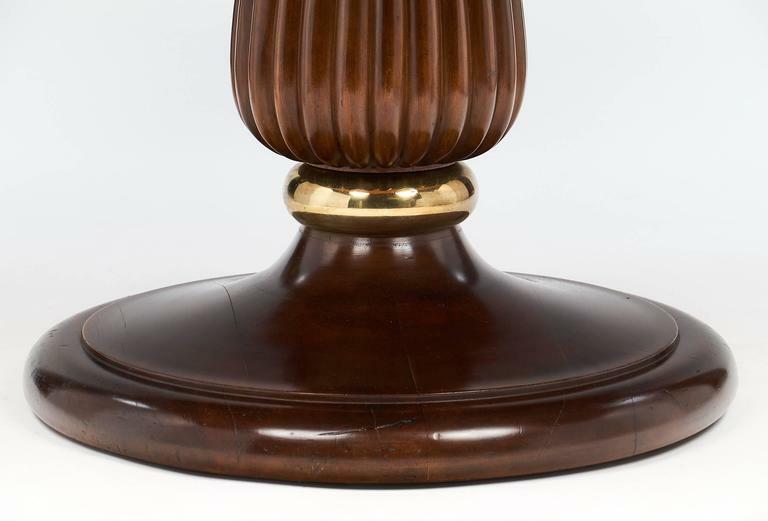 This piece has been finished with a lustrous French polish and fully restored! 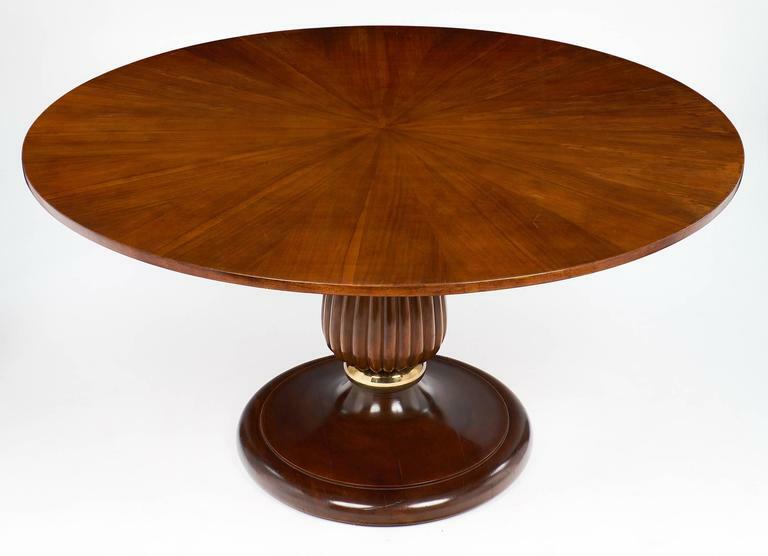 Extraordinary massive mahogany table in the style of Paolo Buffa. 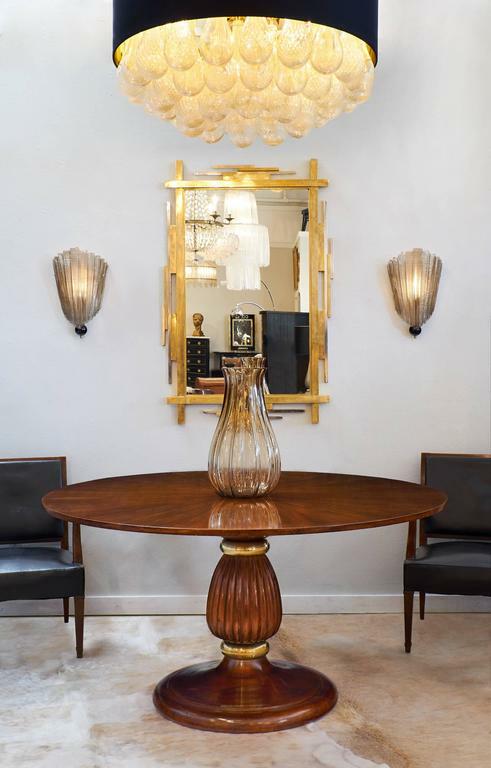 Finely carved decorations and finishes in gold. 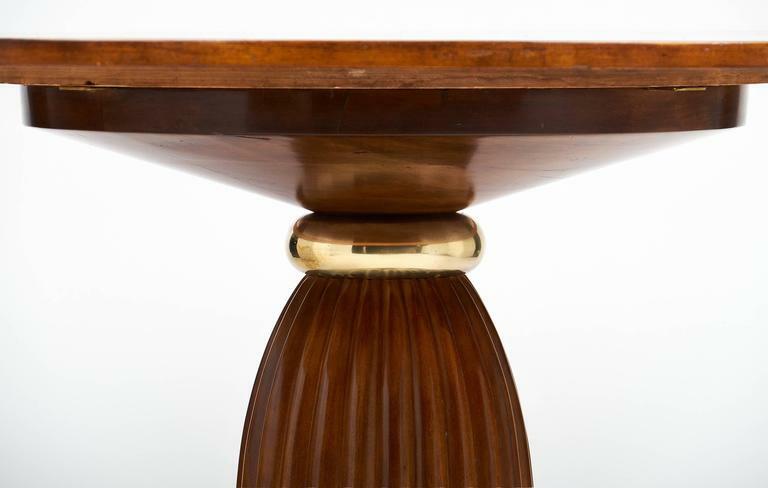 An Italian designed dining table / or could work as a great desk ebonized wood with glass top sculptural legs attributed to Paolo Buffa, circa 1950s.